Mantis shrimp for which the MANTIS Lab is partially named (photo courtesy of wired.com). The Measurement Analytics Lab (MANTIS) of the Conrad Blucher Institute (CBI) for Surveying and Science at Texas A&M University-Corpus Christi (TAMU-CC) explores the merging of geomatics, remote sensing, and geospatial computing to aid scientific and engineering decision-making through improved measurement and analytics of natural and built systems. MANTIS is headed by Dr. Michael Starek, Associate Professor of Civil and Geospatial Engineering. MANTIS gets its name from not only “Measurement” and “ANalyTIcS”, but is inspired by the mantis shrimp, which has one of the most impressive multispectral vision systems in nature. 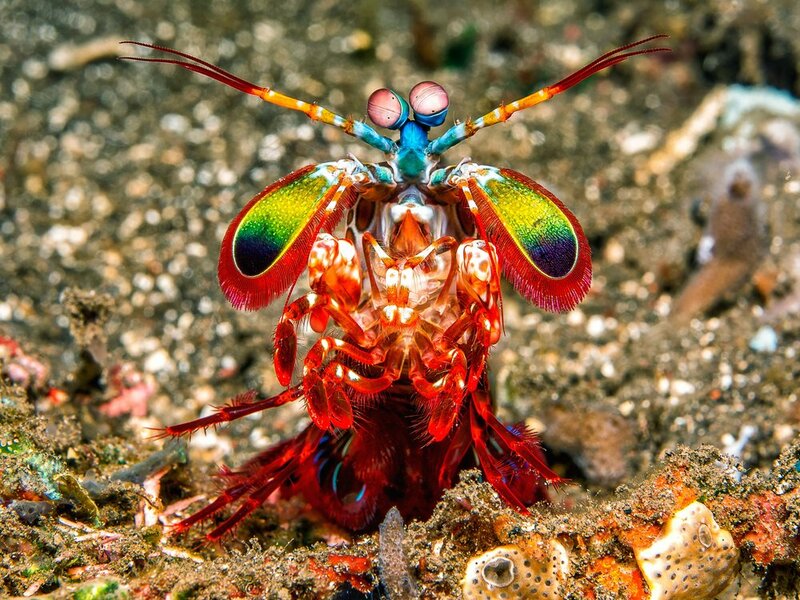 The mantis shrimp has upwards of 12 or more photoreceptor cells in its eyes and can detect near-infrared, visible, and ultra-violet spectra of light or twelve-band vision like an advanced satellite multispectral sensor.